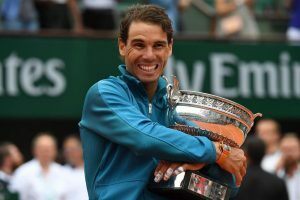 The Clay King, Rafael Nadal win in the French Open 2018, helped to retain his top spot in the Men’s Tennis rankings. Juan Martin Del Potro upgraded his position by 2 ranks as he reached the semi-finals of French Open. Meanwhile, Marin Cilic, Grigor Dimitrov, Kevin Anderson & Dominic Thiem also moved up the ranks following their performances in the French Open 2018. Despite not winning the French Open 2018 Mate Pavic still leads the Men’s Doubles tennis rankings. 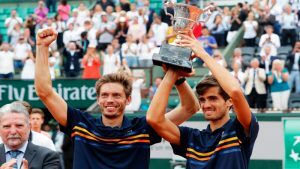 Meanwhile, Nicolas Mahut and Pierre-Hugues Herbert won the French Open 2018 and moved up the ranks by one position. Simona Halep won the French Open 2018 and retained her number one rank in the Women’s Tennis rankings. Sloane Stephens excellent performance in the final of French Open 2018 allowed her to jump 6 ranks up and place herself at the 4th spot. Caroline Garcia improved her position by one rank while Elina Svitolina and Karolina Pliskova moved down in the singles tennis rankings. Also, Madison Keys found her way into the Women’s Top 10 singles tennis rankings by jumping up three ranks. K. Siniaková moved up 4 while B. Krejčíková moved up 13 ranks after they won the French Open 2018 Women’s doubles finals. Meanwhile, Ekaterina Makarova and Elena Vesnina moved a rank each and placed themselves at 1st and 2nd position respectively.